With the rising of temperature, farming season is coming. Farmers are busy with spring plowing in southwest China's Tibet Autonomous Region. 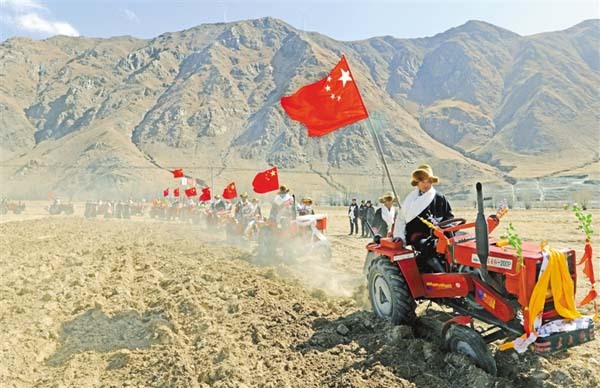 Tibet's Spring Plowing Ceremonies kicked off on Mar. 16 this year. People dressed in traditional costume plough their fields with decorated tractors at the ceremonies. They also dance and sing to pray for a good harvest.